Home / All TV Shows / DOT. When will be DOT. next episode air date? Is DOT. renewed or cancelled? Where to countdown DOT. air dates? Is DOT. worth watching? DOT. Produced by Industrial Brothers in association with The Jim Henson Company, is a new animated series based on the children's book written by New York Times bestselling author, digital lifestyle expert and entrepreneur Randi Zuckerberg. 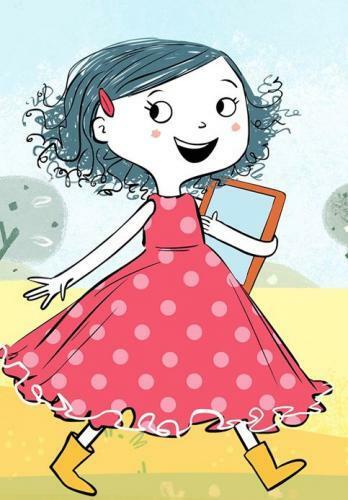 Targeting four to seven-year-old children, the series follows the inquisitive and exuberant tech-savvy Dot, who embarks on hilarious adventures to satisfy her imagination, curiosity and latest passion. Dot is a whimsical, quick-to-laugh kid, who is not afraid to get her dress dirty. For a girl as curious and creative as her, there's no better way to spend the day than outside, exploring the world with her dog, friends, and any tool or tech that will help enhance their play and exploration. Each episode ends with Dot giving the viewers a call to action to get inspired and explore what excites them, both digitally and practically.Along with the series comes Dot-o-pedia, an app that provides an enriching space for young learners to explore, create and interact with Dot. Kids will be able to build their own personalized Dot-o-pedia, much like the extensive encyclopedia on Dot's tablet on the TV show. Kids will also participate in a mini social "community" consisting of Dot, her friends and themselves. Nev helps Dot realize that practicing her cello will help her get better at it. Dot plans a perfect snow day for Grandma's visit, but a lack of snow ruins her plans. After opening a repair business, Dot finds out that being able to fix one thing doesn't mean she can fix everything. Dot finds a map in her basement that leads to a buried treasure. DOT. next episode air date provides TVMaze for you. EpisoDate.com is your TV show guide to Countdown DOT. Episode Air Dates and to stay in touch with DOT. next episode Air Date and your others favorite TV Shows. Add the shows you like to a "Watchlist" and let the site take it from there.